The Remuneration Committee, comprised solely of non-executive directors, is responsible for making recommendations to the Board on the Company’s framework for executive remuneration and its cost. The Committee determines the total remuneration packages and other benefits for each of the executive directors, including bonuses, pension rights and share plans. The Board itself determines the remuneration of the non-executive directors. Mike Blyth is chair and the Committee has access to external recruitment consultants as required. The Audit Committee, comprised solely of non-executive directors, is chaired by Rachel Rhodes. Its primary function is to monitor the integrity of the Company’s financial statements, including its annual and interim reports. The Committee also monitors and reviews the adequacy and effectiveness of the Company’s internal financial controls and considers the need for an internal audit function. The Committee also considers the adequacy of arrangements for the statutory audit and advises the Board on the appointment of external auditors and on their remuneration for both audit and any non-audit work, and discusses the nature and scope of the audit with the external auditors. The Committee is also responsible for reviewing and monitoring the environmental and social impact of the Company’s activities, the Company’s whistle-blowing procedure and the Company’s systems and controls for the prevention of bribery. The Nomination Committee, comprised solely of non-executive directors, is responsible for identifying and nominating candidates for appointment to the Board. The Committee evaluates the structure, size and composition of the Board and makes recommendations to the Board on the need for any changes. The Committee is also responsible for making recommendations to the Board concerning timely succession plans for both executive and non-executive directors and, in particular, for the key roles of Chairman and Chief Executive Officer. It is chaired by Patrick Meier and has access to external advisers as required. David Archer is Anglo Pacific’s Senior Independent Director (SID). 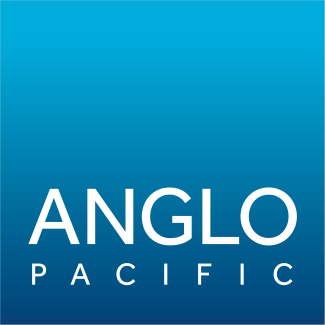 The role of the SID is to be available to shareholders to discuss any concerns they may have about the running of Anglo Pacific where the normal channels of communication are not appropriate. The SID is not required to seek meetings with shareholders, however is available to do so if required in order to understand shareholder concerns and take them to the Board for discussion. The SID is also required to lead discussions at meetings of non-executive directors. To contact the Group SID, please click here.